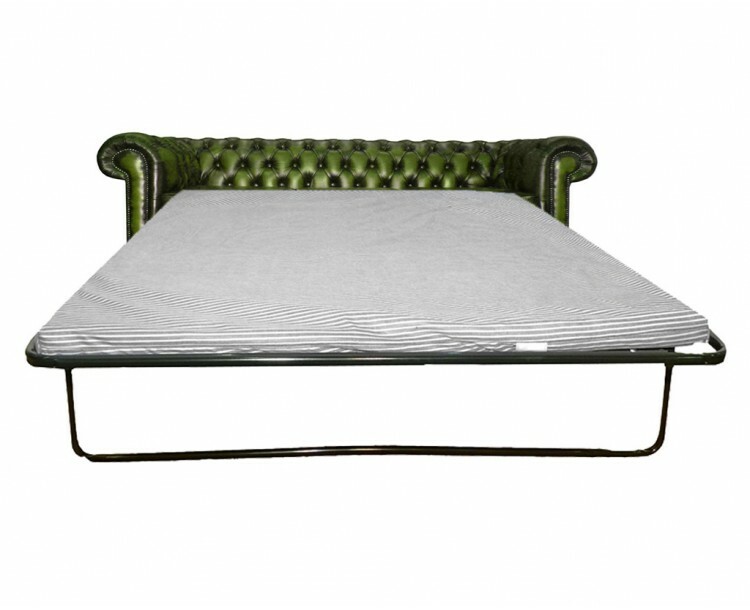 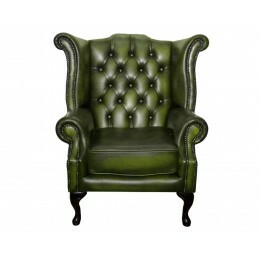 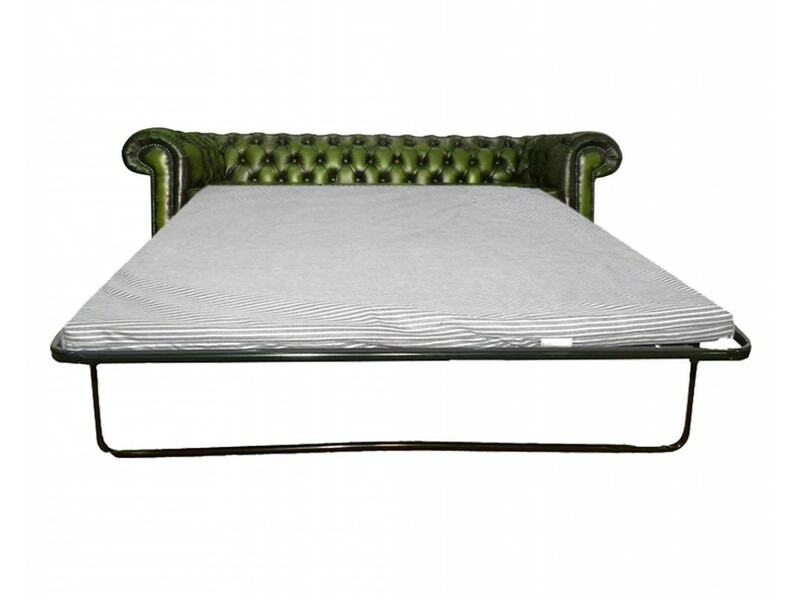 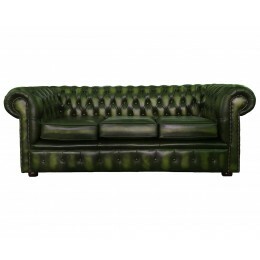 Our beautiful Antique green 3 seater chesterfield sofa bed made from 100% genuine leather. 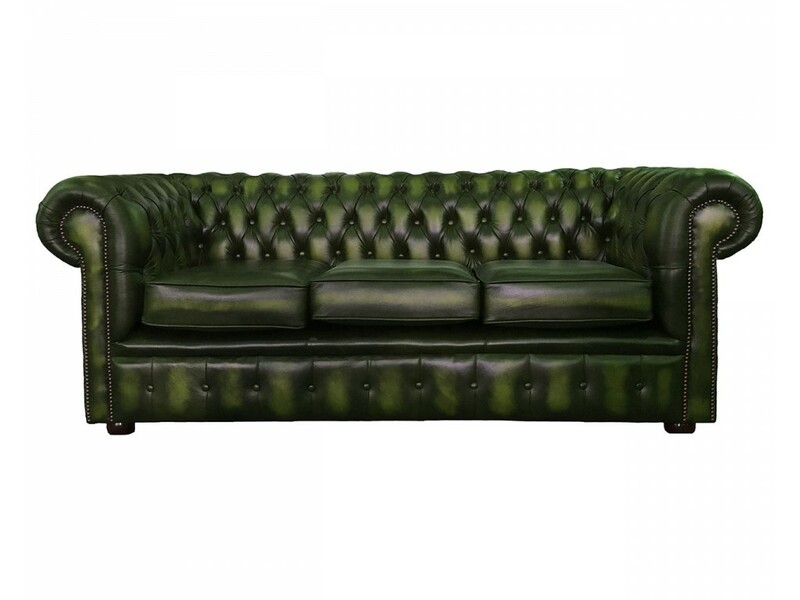 With its low back deep seat cushions and curved arms which are complemented with the tarnished brass beading and the mahogany wooden feet, which gives it a perfect finish. 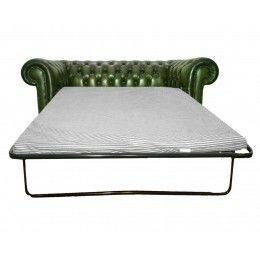 This chesterfield sofa bed has a strong metal pull out frame with a durable double 2 inch foam mattress.